Super-Dry D-Series Compressed Air Dryers contain two highly efficient polypropylene coalescer elements at inlet & outlet ports to absorb oil and all solid air particles. Systems sold with desiccant bag specifically designed to absorb water vapors and humidity from your compressed air system. 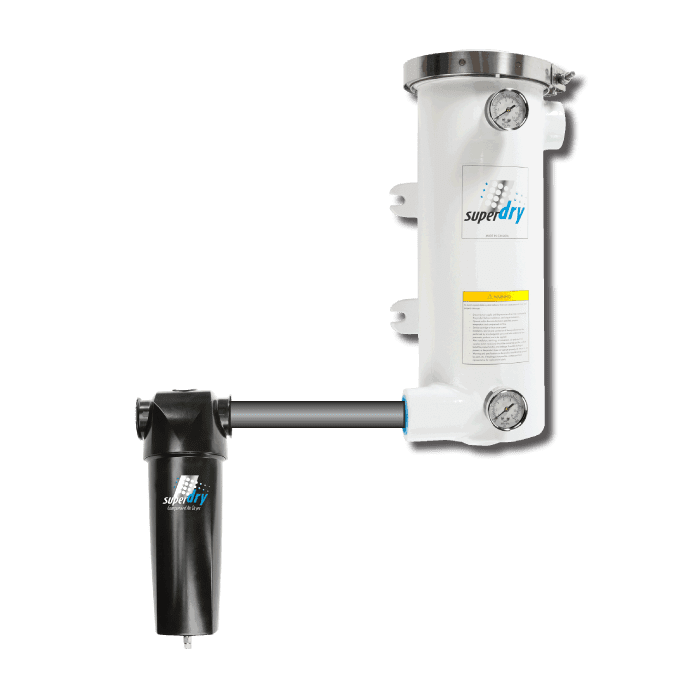 Combine your air dryer with FSD-type moisture separator to provide your equipment with optimal clean, dry air in order to extend its life.